Do you love sea turtles? Do you teach science, technology, engineering, art or math (STEAM)? Let the North Carolina Aquarium at Fort Fisher guide your STEAM explorations with sea turtles. The Sea Turtle Exploration blog helps educators engage students in the fundamentals of STEAM through ready-to-use lesson plans, weekly blog posts and lots of information. Weekly posts, during the school year, include a variety of topics: species profiles, aquarium staff spotlights, lesson plans and more. 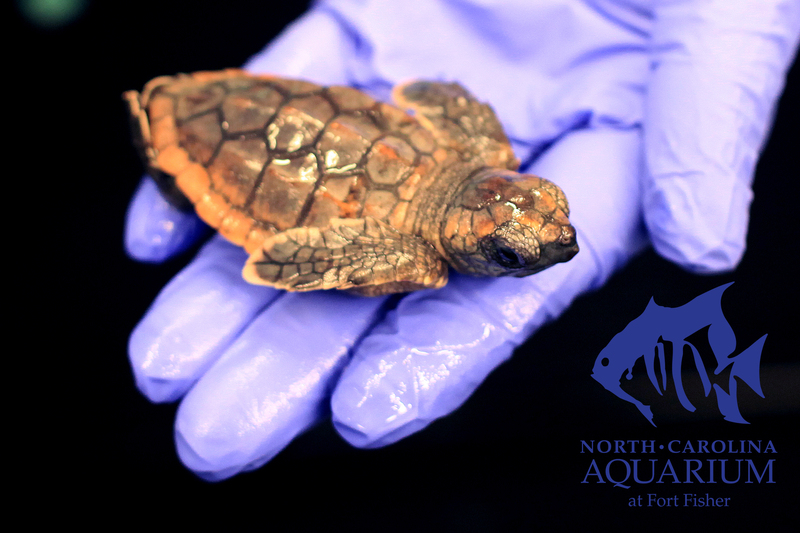 Follow the growth of Aquarium hatchling sea turtles by visiting this site each week. Your students can graph the weight and length of our loggerheads in this year-long lesson: Hatchling to Yearling. As you and your students dig into the blog you may have questions. Let us help. Click on the mail tab on the left side of each page and forward your comments. Our exchange may be featured in a later blog. If your class learns something new or you have suggestions for improvement leave us a comment. As you complete the Sea Turtle Exploration activities, send us photos of your students in action. The photos may be added to the blog. If you use twitter professionally, please share activities and results using the hashtag #seaturtlestem. Sign up to receive the Sea Turtle Exploration blog via email under Subscribe on the Blog page. Thank you for visiting the Sea Turtle Exploration blog and we hope you enjoy the journey. For more information on the aquarium please visit our website: http://www.ncaquariums.com/fort-fisher.